Redway has designed a top and bottom Cavity Closer from extruded uPVC to be used in either a Drained Cavity wall or Ventilated Cavity wall situation. A drained cavity wall is vented at the bottom only. Water is able to drain and limited (but often sufficient) air is able to enter the cavity to dry any remaining moisture between wetting cycles. Products required: Redway Cavity Closer. A ventilated cavity wall is vented at the top and bottom. As per the drained cavity, the bottom vent allows drainage and air entry. The addition of the top vent creates a moving air path. This method should be considered when drying is inhibited due to rapid wetting cycles or where walls are permanently shaded as they pose a higher risk of moisture build up and mould formation. 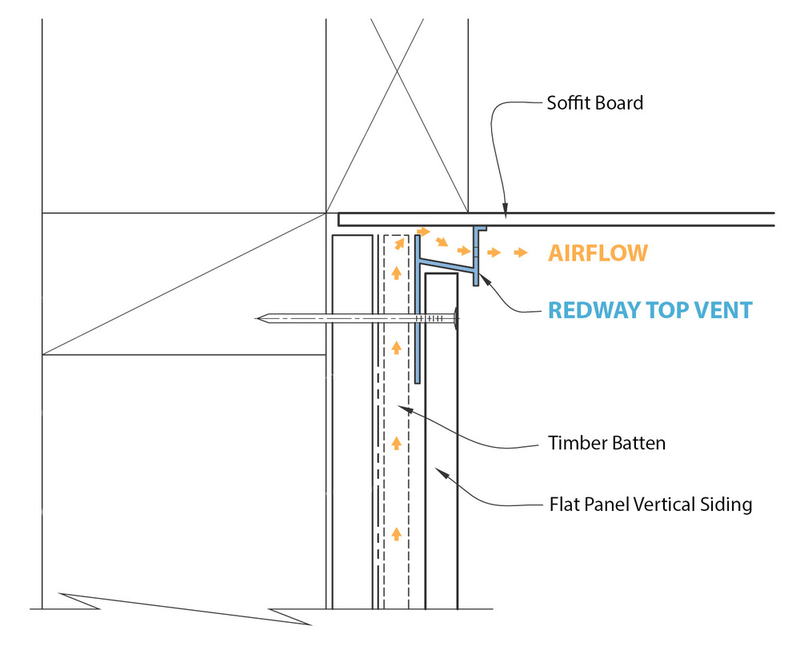 Products required: Redway Cavity Closer and Redway Top Vent Cavity Closer. • All Cavity Closers and the Top Vent Closer are manufactured from rigid uPVC and are supplied in 2.7m lengths. • All products are biologically and chemically resistant to treated materials such as treated timber. They will not rust nor react if in a salt zone. • The uPVC compound is stabilised for UV protection as required by the NZBC. • It is lightweight allowing for easy transportation and installation. The New Zealand Building Code section E2/AS1 (9.1.8.2) requires the use of a Cavity Closer as part of the proper construction of a drained cavity wall. 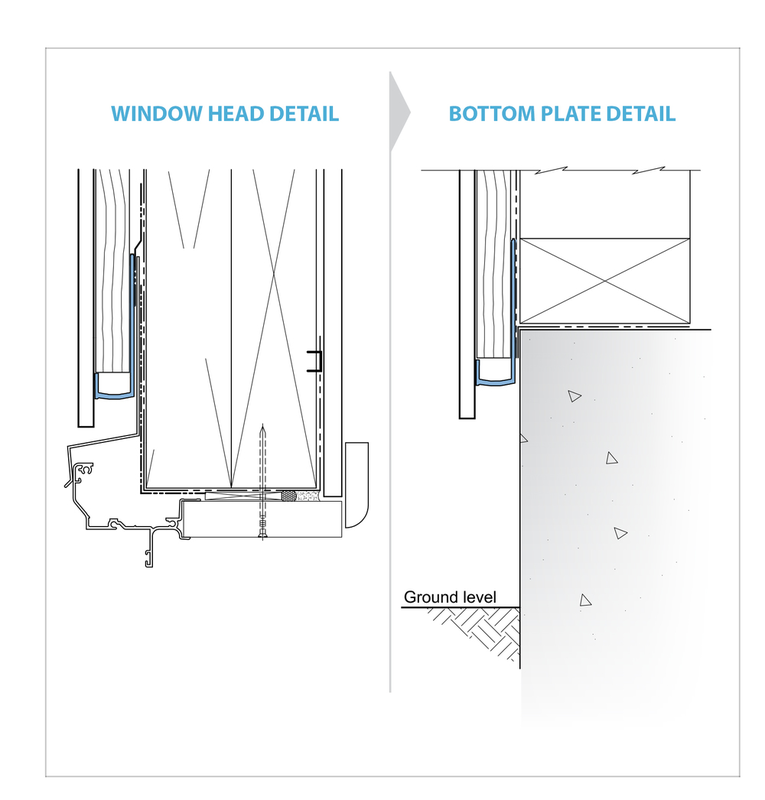 The function of the cavity closer is to prevent vermin intrusion, and to promote weather-tightness by allowing drainage and air ventilation to dry the cavity should moisture breach the external cladding. The Redway range of uPVC Cavity Closers have been designed to provide the ideal solution for architects, builders and installers to meet these requirements. Redway Cavity Closers are available at all leading building merchants nationwide. • Straight lip to provide tight and consistent seal with vertical panels which prevents water from wicking up from the ground, rainfall off of the roof or sprinkler head directing water upward. The tight seal also prevents vermin intrusion into the cavity. *Designers/builders must use the correct size cavity closer to achieve this seal and comply with the NZ Building Code. • Ventilation holes to allow moisture to drain from the cavity. Bottom ventilation permits a minimum of 1000mm2 per metre length of air into the cavity as specified by E2/AS1. For enhanced drying capacity, use with the Top Vent Closer. • Strong product thickness to provide panel support. • Sizes available: 15mm (RDCC15), 19mm (RDCC19), 21mm (RDCC21), 40mm (RDCC40), 45mm (RDCC45) and 50mm (RDCC50).